Cape York is a mecca for adventurers drawn by picture-perfect scenery and spectacular sights. North of Bamaga, the road bumps through Lockerbie Scrub’s lush monsoonal rainforest to Pajinka (Frangipani Bay) and the very tip of Australia. From the trailhead which doubles as a small campground, the walk along Mount Bremer takes around 15 to 20 minutes, and at low tide you can return via the beach where bright blue soldier crabs spiral into the sand as you approach. Most travellers visit The Tip as a daytrip out of Seisia, Loyalty Beach or nearby Punsand Bay, but with free camping permitted with your return ferry ticket, a night of solitude on Frangipani Bay is all yours. Watching the sun set and rise again over The Tip is a truly magical experience at the end of such a long and magnificent journey, so if you can, take your caravan to The Tip too. 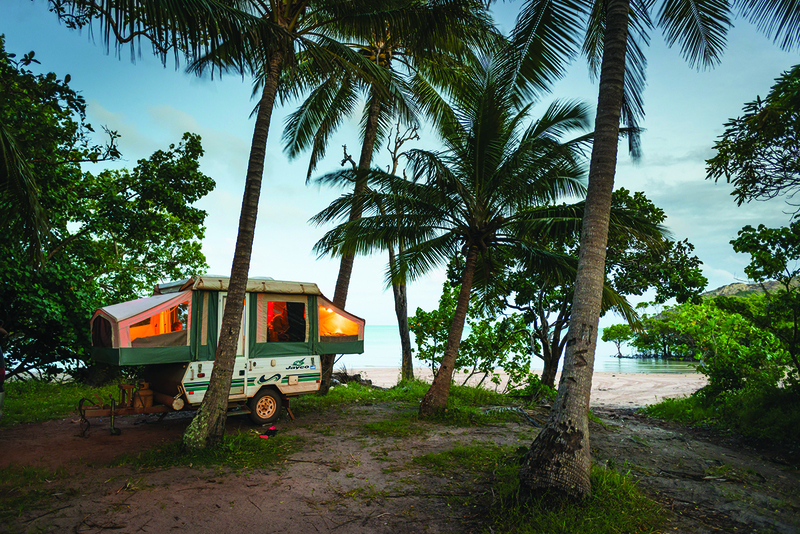 Camp close to the beach or find a forested nook behind Frangipani Bay (follow the tracks that lead off the main road). There are no facilities so bring drinking water. Getting there: Frangipani Bay is Australia’s northern-most beach. From Bamaga, head north through Lockerbie’s Scrub to the beach. Locals say the barramundi is on tap at this angler’s paradise on the Gulf of Carpentaria, renowned for its big rivers and exceptional natural and Indigenous heritage. Evidence of Aboriginal occupation is everywhere in Weipa. Head to Red Beach (Prunung), home to some of the world’s largest cockle shell middens and a display of sugarbag trees holed by Aboriginal people to collect native bee honey. Continuing north, a turnoff sign leads to another scenic stretch of coastline at Bouchat, an area significant to Thanakwithi traditional owners. In town, the Western Cape Cultural Centre at Evans Landing is free to visit. If you’ve towed a tinny to Weipa, you can launch it at Rocky Point or Evans Landing and head up the Mission, Embley or Hey Rivers in search of salmon, trevally, grunter, fingermark or jewfish. Boat-free travellers can dangle a line off the wharf at Evans Landing where locals catch queenfish, trevally and grunter. 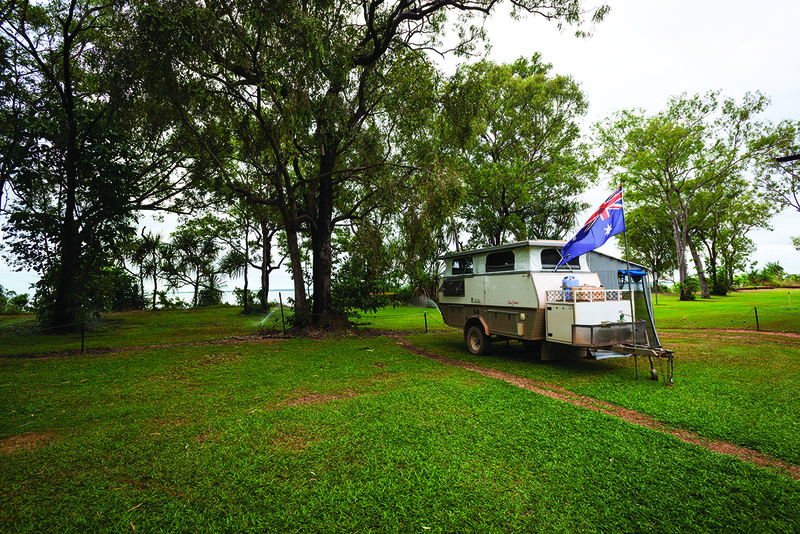 Providing beachfront views across Albatross Bay and offering the only campsites in town, pet-friendly Weipa Caravan Park books out in the peak winter months so you’ll need to book ahead. 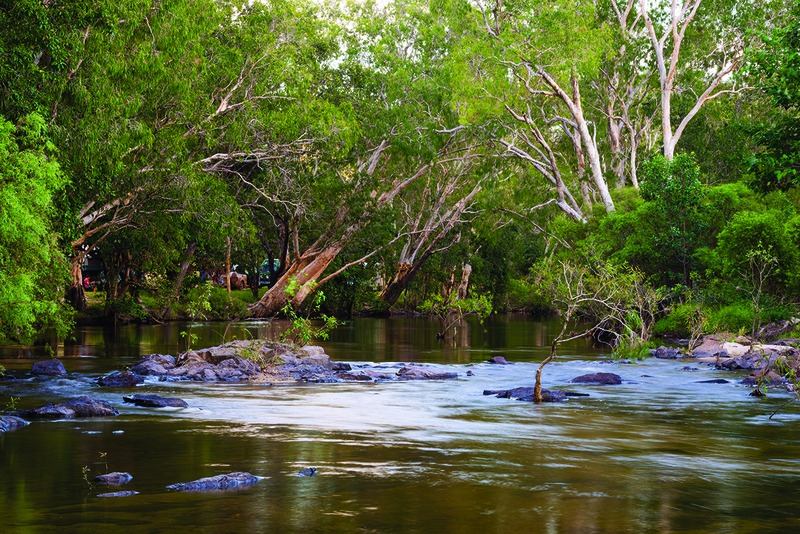 Weipa is a destination in itself, and many travellers venture no further north. If you go, catch a sunset from the Albatross Bay Resort and mingle with miners at Weipa’s local bowls and golf clubs. Powered campsites at Weipa Caravan Park cost $44 per couple ($32 unpowered); book at www.campweipa.com.au. 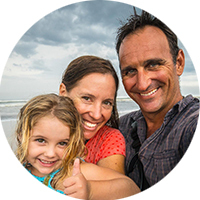 Don’t miss the Weipa Fishing Classic in June. Getting there: Weipa is a the largest town in the area and is located 510km north of Laura on the Peninsula Development Road. He was almost the first explorer to reach the tip of Cape York and the disaster that ended his ill-fated 1884 expedition is the stuff of legend. After leaving the Cardwell coastline on May 20, 1848, Edmund Kennedy and his 12 men, 100 head of sheep and a convoy of wagons, plunged into inhospitable terrain and mangroves swamped by heavy wet season rains. Progress was excruciatingly slow; eight men were lost to disease, accidents, fatigue and conflicts with indigenous locals, but for Kennedy the worst was yet to come. Upon reaching Cape York’s Richardson Range near Shellbourne Bay, William Costigan accidentally shot himself and was left in the care of two men while Kennedy and guide Jacky Jacky struggled north, a vulnerable duo. Tantalisingly close to the Tip in the mangrove-fringed channels of the Escape River, Kennedy was fatally speared. Jacky Jacky managed to reach the waiting supply ship Ariel and sailed in search of Costigan and his companions, but the men were never seen again. You can relive the whole tragic saga at a roadside cairn that overlooks Kennedy’s Lost Camp, somewhere beyond in the dense heath-covered dunes that roll away to the distant Coral Sea. 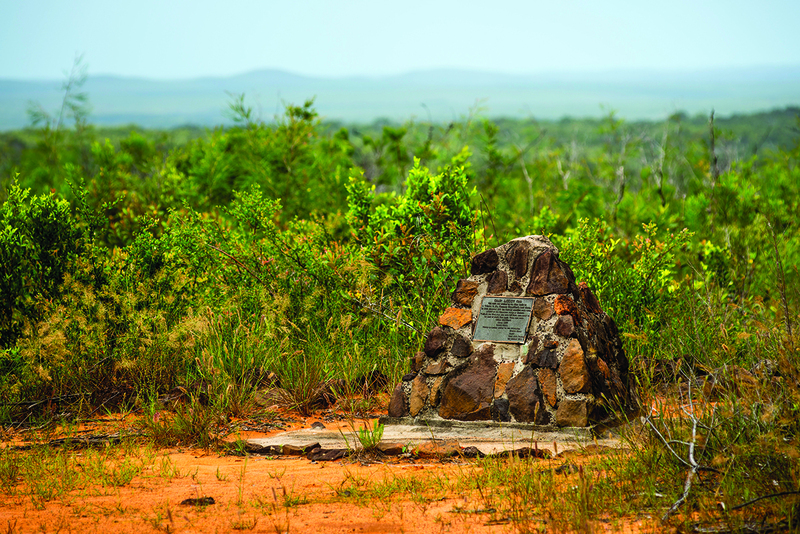 The memorial is located opposite the Heathlands Ranger Base, 55km north of the old Telegraph Track junction. You can overnight on the beach at nearby Captain Billy Landing campground. Getting there: Kennedy’s Lost Camp is on the Bamaga Road in Heathlands Regional Park, about 160km south of Bamaga. This idyllic, albeit windswept, camp nestled beneath towering sea cliffs by the Coral Sea is a glorious spot to spend a night. 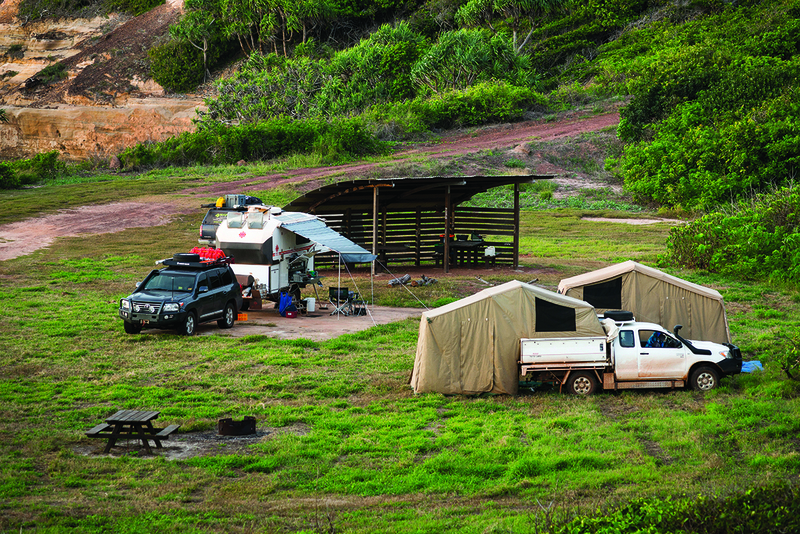 Named for the Aboriginal man who guided government surveyor Dr Logan Jack to the coast on his 1879-80 Cape York expedition, this spacious grassy camp provides a huge picnic shelter, tables, a toilet and fire pits. The deserted beach stretches endlessly north, peppered with prized shells and the nests of green turtles during the wet season. Sunrise from the top of the high dunes is incredible and if you explore off route inland, birders might encounter dusky honeyeaters, yellow-bellied sunbirds and rainbow bee-eaters amongst the stunted coastal heathland. Despite the generous facilities, this camp has a remote feel to it and is well worth the detour. Getting there: To access Captain Billy Landing, drive 66km from Bramwell Junction along the Bamaga Road to the signposted Captain Billy Landing turn-off and travel a further 27km to the coast. At this deeply relaxing riverside spot, you can park your rig mere metres from the water and chill out in deep sandy pools on a shady stretch of the Coen River. Located just 3km north of Coen – one of the few places dispensing vital supplies and creature comforts – the Bend permits free, unrestricted camping, croc-free swimming and the chance to snare a catch of cherabin. Spacious and grassy, there’s room at The Bend for up to a dozen rigs, and enough shade along the riverbank to shake out your camp chairs and chill out with a book or a pair of binoculars, ready to watch the birdlife whizzing by. Facilities are limited to a drop toilet, fireplaces and rubbish bins, and you can wade and swim upstream to soak in more glorious waterholes. The Tip to inspect all fruit and vegetables on board. Getting there: 3km north of Coen on the PDR. When to visit: Cape York is a beautiful place to visit between May and December, depending on the weather. This article comes courtesy of Caravan World.